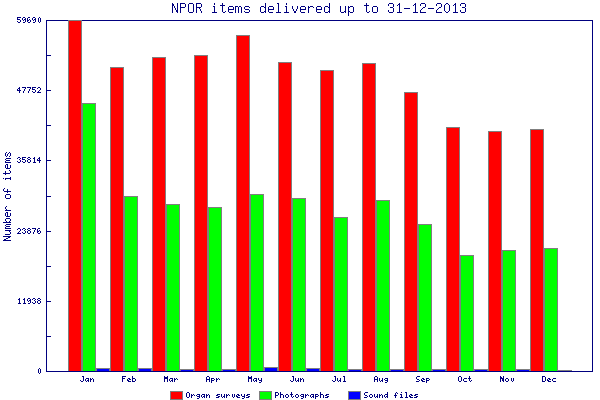 This graph shows the total number of organ specifications, pictures and audio files delivered to users during each month in 2013. The NPOR software and database were re-designed and re-written during 2013 and the new version was installed in September. As part of this work the statistics became more accurate which has resulted in the totals being smaller now that probes and search engines are more effectively removed. This graph shows the total number of searches of each type performed each month during 2013. 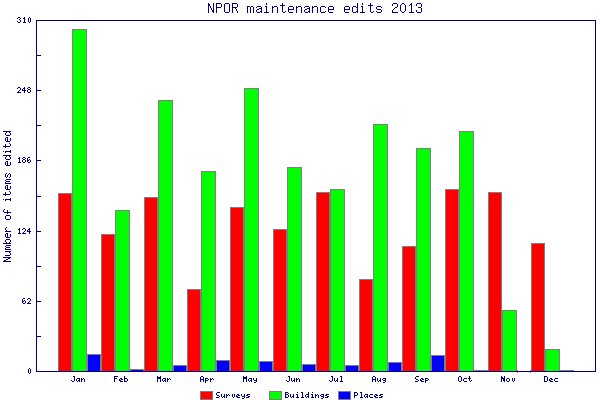 This graph gives a measure of the maintenance activity on the NPOR and shows the number of surveys, buildings and places which have been edited during each month in 2013. The number of surveys edited is derived from the number of times an existing survey has been replaced by an edited version. The numbers for buildings and places record the number of times the appropriate record was changed. 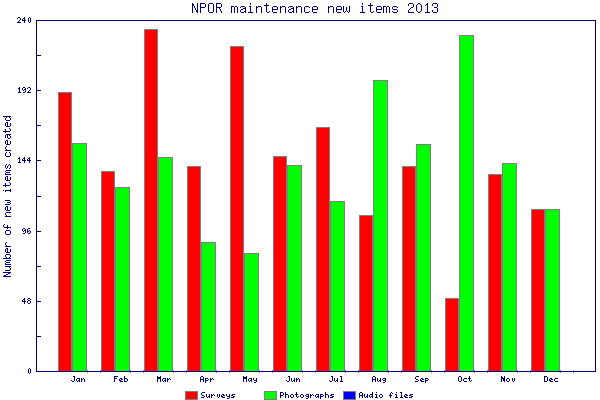 This graph gives additional information about maintenance activity and shows the number of new surveys, pictures and audio files added each month during 2013. These figures are approximate.